The end of a fashion era is upon us. However doomed such a sentiment sounds, it’s hard to deny that what we’re experiencing is an unprecedented period where fashion—and the pace of our modern lives—seems to fly at nearly the speed of light. Phoebe Philo’s departure from Céline marks a decided shift not just for the house itself but for the industry at large. We have Philo to thank for the notion that fashion could slow things down rather than speed them up and for showing the world that those who call themselves “fashion people” are concerned with things more substantial than material. So here’s why it was—and will always be, as far as I’m concerned—relevant, why I’m certain designers will reference it for years to come. Philo’s Céline was never limited to being understood, analyzed, and critiqued at face value for the clothing itself. It was never only about the clothing. It was about the way the clothes made you feel: timeless, modern, and imbued with a quiet sense of power. The 10 years in which the designer directed the house stood for something altogether more transcendent. Ask anyone in fashion and they’ll tell you about a Céline object that spoke directly to their hearts. It was design that made us recall why we fell in love with fashion in the first place. For me, the moment I began believing in the power of clothing was, for a young girl growing up in a small Ohio town, where my only real outlet was through the pages of the major glossies. On trips to the grocery store, I’d beg my mother to purchase the latest issue of Vogue, Elle, or Harper's Bazaar for me, only to go home and pore over every page, studying each editorial as if it were a piece of fine art to be analyzed. Later on, this studious tendency would come to manifest itself via studying art history in college. How is this related to Céline, you might ask? Because falling in love with the artful tailoring and innovative styling I glimpsed through those magazine spreads was distant enough from my own reality to allow me to dream of one day existing within the world that created it, much like seeing an Édouard Manet painting and being immediately transported to 19th-century Paris. I remember seeing how the models glided down the spring 2013 runway in crisply pleated trousers that pooled around their feet and thinking to myself, Whoever brought this to life understands me. Indeed, Philo’s personal brand of minimal became iconic in its own right. She kept herself outside of the spotlight, emerging at the end of a runway show in her uniform of turtleneck, trousers, and sneakers. There's no doubt Phoebe’s quiet, personal style affected the way Céline’s collections were received; critics focused on the clothing itself rather than the marketing ploys by a creative director slash celebrity (as we’re so used to seeing done by luxury labels today). 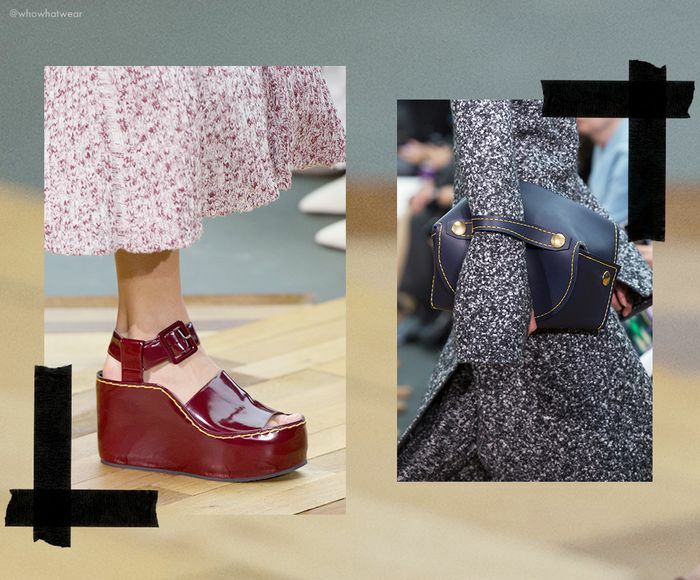 Céline presented a modern way of dressing, in the textbook sense. The cerebral designs offered substance over appearance. The clothes were created with the modern wearer in mind—the kind of intellectual woman who had both a practical nature and a discerning level of taste. For me, no one embodied that woman better than writer Joan Didion, who appeared in an ad campaign for the label, posing knowingly for the camera behind a pair of Céline’s ubiquitous black sunglasses. This was the kind of woman who needed the pragmatic but wanted something soulful. It’s a concept I identify with—anyone identifies with—who appreciates fashion but doesn’t covet clothing or imbue material goods with unnecessary value. This made the Céline concept the antithesis of what’s so prevalent in the industry today: untethered consumerism. Instead, Philo's design process seemed to be led more by her own intuitive and spiritual nature. “I surround myself with images for their emotional qualities,” says Phoebe in a 2015 interview with The Gentlewoman. “I get an energy from their tenderness, strength and glamour that I’m very responsive to.” Though these images she's referring to offered obscure references to the clothes, bags, and shoes she sent down the runway each season, they served more as mood boards than anything else. So when Céline published ad campaigns composed of enigmatic subjects as simple as a horse’s hoof, few questioned them. In fact, I recall comparing the horse's crimped white hair to the artful hem of a Céline trouser, how it floats over the wearer’s foot like a kind of curtain, rendering the shoe invisible. But like anything transcendent, this ephemeral era in fashion had, as was inevitable, to come to an end. As much as I desire to hold the last 10 years of Philo’s Céline in a contained memory never to be tampered with, I’m fascinated by Hedi Slimane’s new ideas for the house and how his vision will take form. Will his menswear approach the same clean, tailored luxury of the women’s line? At first, I was offended that anyone would attempt to interpret the ready-to-wear line’s pragmatic luxury into something less literally wearable as a couture collection (another extension he’s planning for the house). And I’m mostly anticipating the introduction of a Céline fragrance, a scent I have yet to smell but am already certain I’ll fall in love with. Thank you, Phoebe. You stopped us in our tracks and reminded us that despite the whiplash of the trend cycle, and the chaotic nature of the industry, someone else also holds a deeper sense of appreciation for the power of clothing. The Phoebe Philo era offered a reprieve to anyone feeling the stress of “keeping up” with fashion’s ambitious pace. And that is exactly what effective design is intended for—to allow us to transcend our quotidian existence (if even for a brief moment).